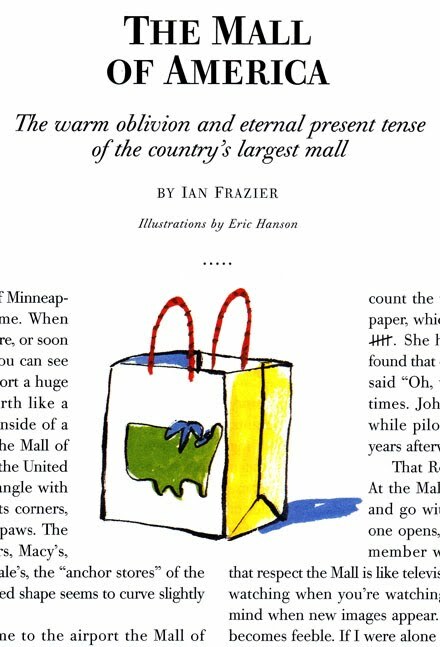 When the Mall of America opened a few miles from here I made careful plans never to set foot in it. (I'm a neighborhood shopper.) 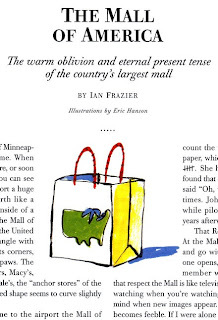 Then I got a call to illustrate Ian Frazier's piece in the Atlantic. I did eventually visit MOA, and wasn't surprised that I hated the place. Big isn't better, it's just bigger. This illustration was art directed by Mary Parsons in 2002.